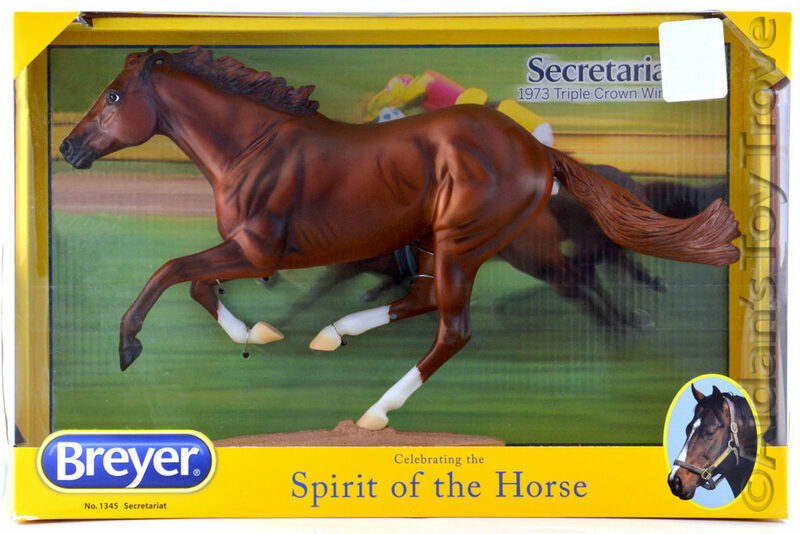 For sale is a Traditional Scale NIB Breyer Woodland Splendor 700119. He is the Lonesome Glory mold in a beautifully shaded chestnut. He is tacked up in holiday attire. 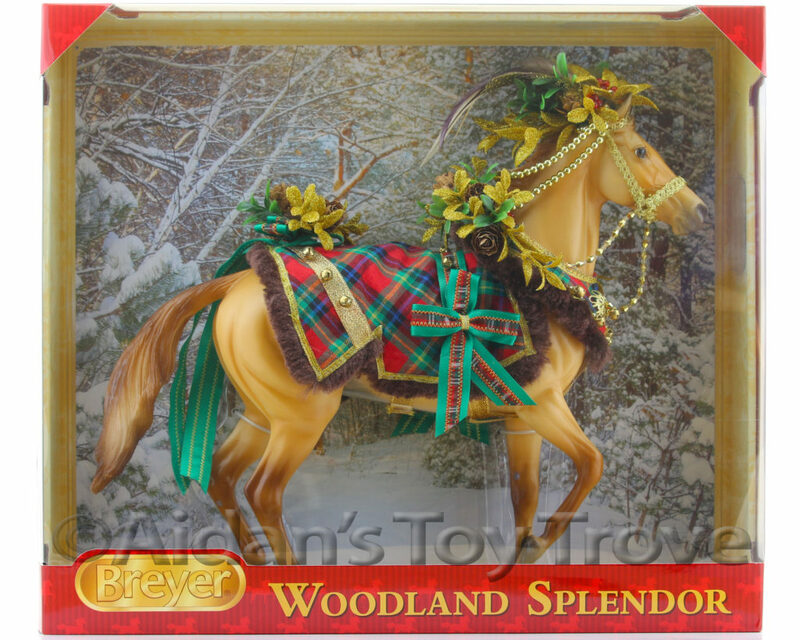 Woodland Splendor is the 2016 Breyer Christmas Horse. The smell of pine is carried on the cool winter’s breeze, and a faint jingling can be heard coming from the woods. Who is that approaching? 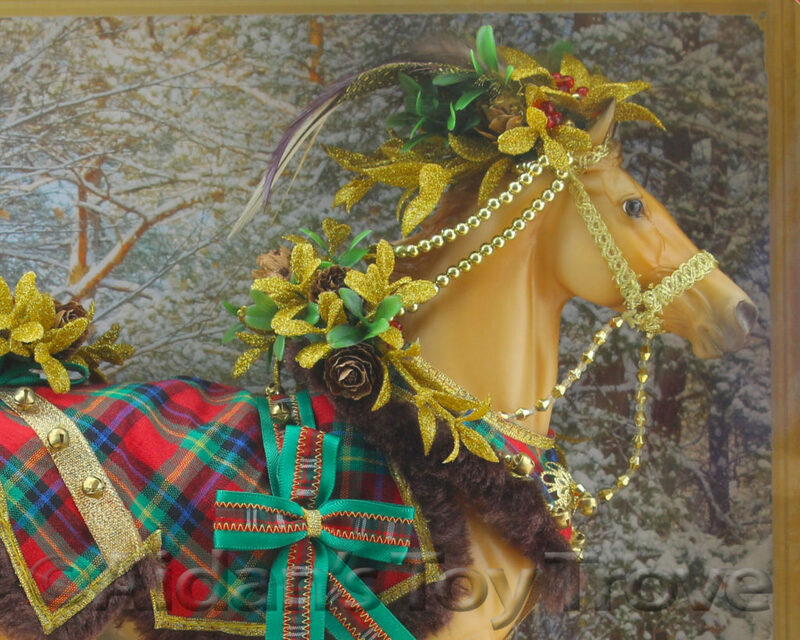 It’s Woodland Splendor, Breyer’s 2016 Holiday Horse! Bedecked in nature’s splendor, he’ll carry the beauty of the season into your home. Decorated to enjoy the weather outdoors, he wears a festive plaid blanket made with the colors of the holiday season. His friends in the woods have added their flair to his attire with feathers, pine cones, and lovely golden beading and trim. This collectible masterpiece is hand painted, and features “”Happy Holidays 2016″” printed on his belly. Approx. 13″L x 8″H. Woodland Splendor is still sealed and tied in the original box. The box may have normal wear. I noted no flaws on the horse. He may have typical factory flaws. I cannot guarantee the condition of the boxed side. Please note that I have multiples of this model. You may not receive the exact horse pictured. 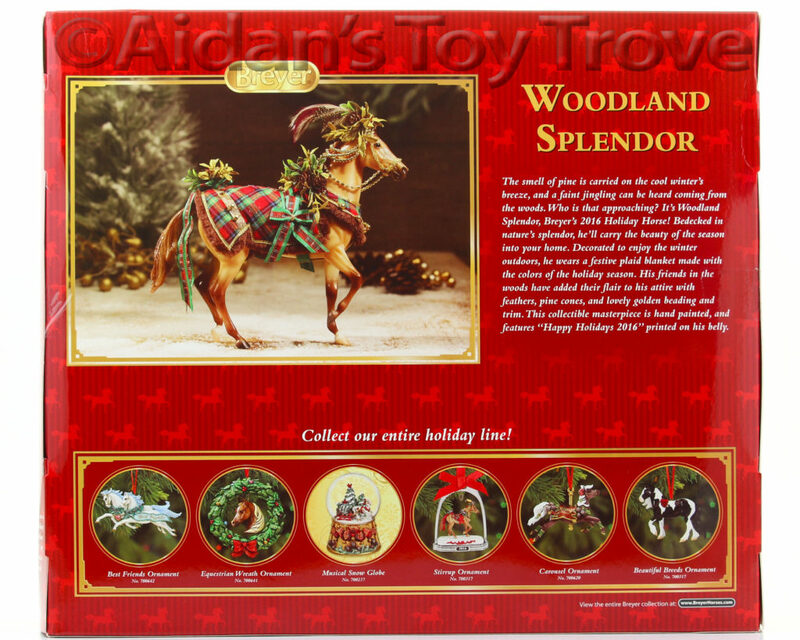 You will receive a brand new in box Breyer Woodland Splendor 700119.